Yay! The party starts on Monday! Visit My Craft Spot online store! Here is a little peek at the Fall & Halloween goodies coming your way! I made this card a while back and included it in the video for the Daisy metal die set, but forgot to post it here. So . . . here it is - sweet & simple. I used an Imaginesque petal roller to make my petals and leaves more dimensional. Then, I used dimensional adhesive to make it stand up off the card. Watch the video to see how to add dimension to your flowers! 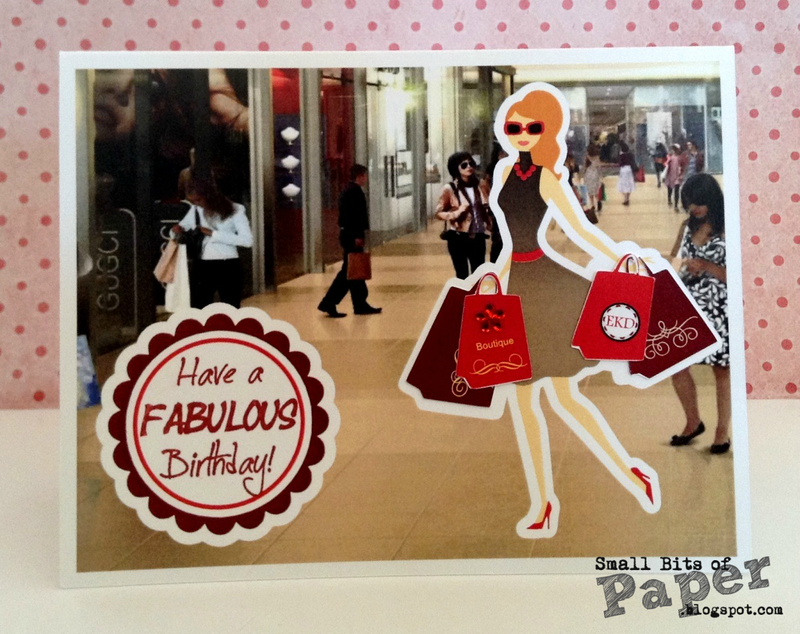 DT Post by Kate - Fabulous Birthday hybrid card! Hello friends! This is Kate from Small Bits of Paper with a digital card to share with you today. I had lots of birthday cards to make earlier this month and had more access to my laptop than I did to my crafting supplies. As such, I had loads of fun making a number of digital cards. For this card, I decided to combine some digital elements with Silhouette cuts and a sentiment from My Craft Spot!! To create my card, I used "Shopping Chica" from the Silhouette Store (#16675) and a photo I found online. I measured the "Have a FABULOUS Birthday!" sentiment from the Birthday Wishes stamp set and designed the digital doily to fit. Everything is flat (printed) with the exception of the shopping bags which were cut out and attached. I love the way it turned out (and so did my daughter, which is the best part of all)! I've got a few more details over at Small Bits of Paper so pop by if you'd like to know more. Thanks so much for visiting! Be sure to come back tomorrow for some sneak peeks of projects made with the NEW stamps and dies for next week's release!! Hello, my crafty friends! You're all invited to join the party at My Craft Spot! We will be celebrating My Craft Spot's newest release of stamps and metal dies all week starting September 1st! Each day you will get a sneak peek at one of 5 new stamp sets, plus 4 sets of metal dies! My Design Team and I have created lots of fun Halloween and Fall projects and ideas to share with you. We even have a guest designer joining us this time! You won't want to miss it! I can hardly wait to show you all of the new stamp sets and metal dies!!! You will have a chance to win some blog candy each day of the party! You are going to LOVE the new sets! Winners from challenge #149 - Bags & Boxes! Your bags and boxes were all fabulous! Thanks for joining the fun!! *Just a reminder that to qualify for the prize you had to limit your entries in other challenges to 5. DT Post by Gwen - Cute backpack! Challenge #150 - Back to School! 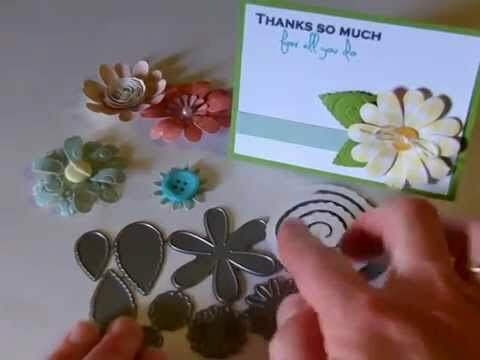 DT Post by Kate - Video Buttons Birthday Card! DT Post By Gwen - Celebrate! Winners for Challenge #148 - 3D Flowers! 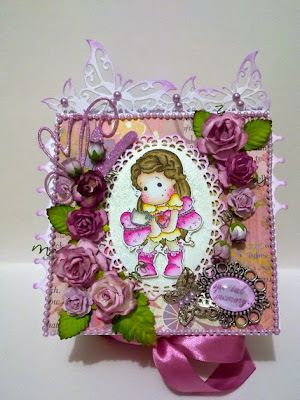 DT Post by Karen - Gorgeous Birdcage Easel Card! Challenge #149 - Bags & Boxes! DT Post by Gwen - Fun 3D birthday card! Metal Die sets back in stock! Guest Designer - Sarah Taylor! DT Post by Heather - It's a Baby Shower! 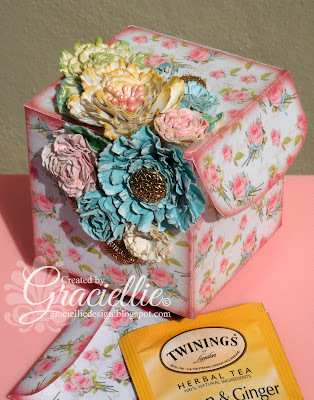 DT Post by Gwen - Cute card - lots of fun layers! Monday Challenge #148 - 3D flowers! DT Post by Gwen - Happy Birthday Flowers! DT Post by Gwen - Fun Birthday card! DT Post by Karen - Fabulous Birthday Card! Winners from the Mini Release!! DT Post by Gwen - Sugar & Spice!